The San Remo Easter Fishing Competition Is Back! It's time for the San Remo Easter Fishing Competition! 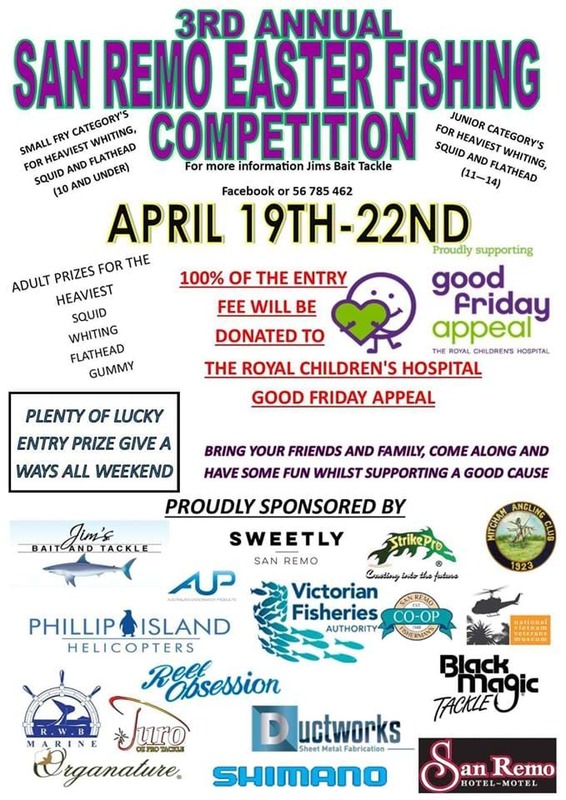 Jim's Bait and Tackle will be hosting their 3rd annual Easter fishing competition with 100% of the proceeds going to the Good Friday Appeal. The competition is open to both land and on-the-water fishing entrants. It's going to be a great day of family fun, with other $4000 worth of prizes and giveaways all weekend! The competition will run from April 19-22 all day at Western Port Bay! Bookings are required. For more info, head to the Bass Coast website!